Ramblings of an Impatient Artist: Talk Nerdy To Me! 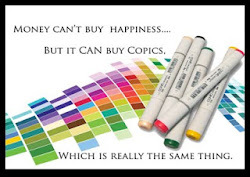 I wanted to share this fun card that I will be doing for our next Copic Class at Scrap 'N Friends. We'll be using a digi stamp from Sassy Studio Designs - France Honey. A special thank you to Lindsay (the fab artist behind the Sassy Studio Collections). 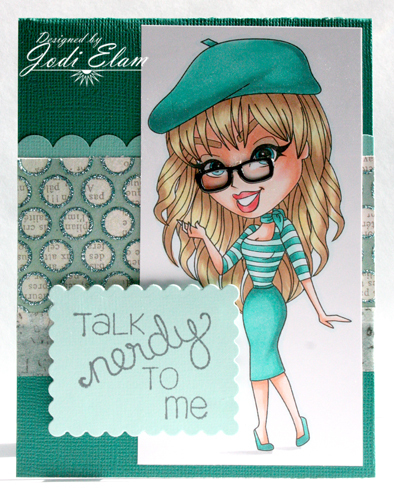 The Talk Nerdy To Me sentiment is by Unity Stamps. I saw it and had to have it - it's too cute and those glasses brads are to die for! E000*, E01*, E02*, E51*, E53*, E55*, BG11, BG13, BG15, BG18, R22*. (*) Denotes colors we've used in class before. Our main focus will be her hair. There's still room to join us! Class is Tuesday, June 11 at either 12:30 or 6:00 p.m. and it's only $4! Give us a buzz at Scrap 'N Friends - 833-2600 to sign up. Addicted to Stamps and More! - Make Your Mark! Jodi, how cute! Love the added glasses. OMG Super cute Love this. 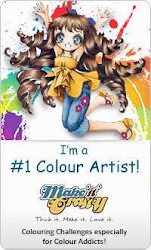 Super cute , love your coloring , love the MME designer paper ,thx for joining us at Art Impressions for our challenge !! Fabulous card. Love the glasses brad. Clever. Thanks for joining us at Perfect Sentiment this week. Good luck and come back again. Great card..Thanks for joining us over at Perfect Sentiments. Hope you'll join us again. 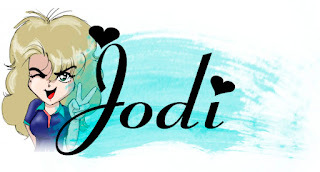 Jodi, Really sassy card, love your coloring. Thank you for sharing this with us on The Craft Garden this month, hope to see you pop by again. Super cute card. Love your coloring!